Dates: Open every Saturday, April through mid-November. 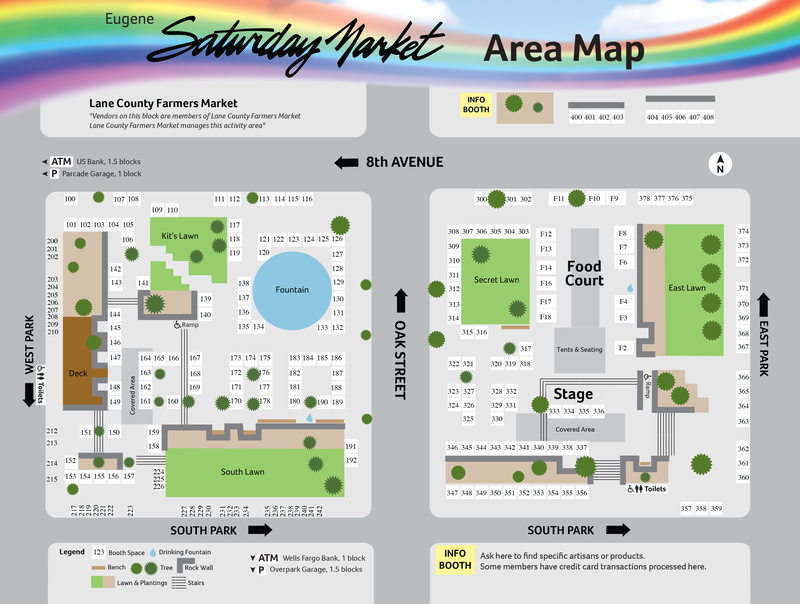 In 2019, Saturday Market opens April 6th and ends on November 9th. Weather: Open rain or shine! 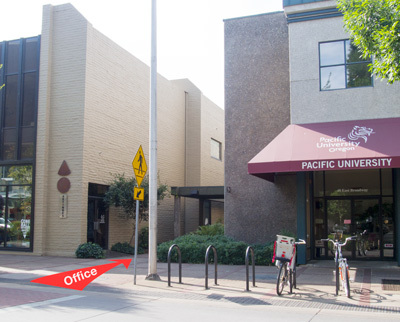 Driving Directions: From Interstate 5, take Exit 194-B to Eugene (I-105). From I-105 take Exit 2 to "Eugene City Center" and cross the Willamette River. Stay in the right lane and take the "8th Ave. Exit" which curves to the right. 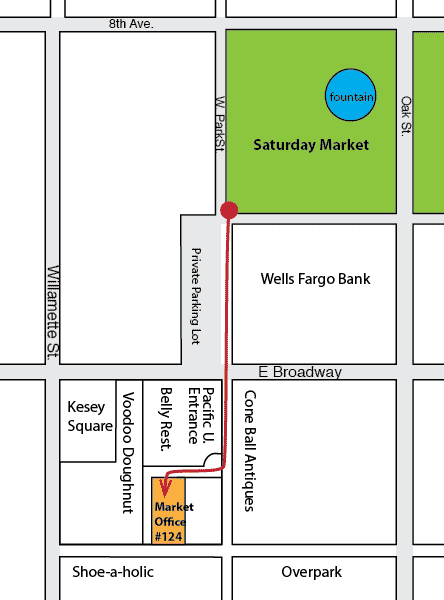 Saturday Market is just two blocks straight ahead. Walk down the walkway between the Belly Restaurant/Pacific University building and Cone Ball Antiques. Come in the door just past the kitchen windows on the right. We're straight ahead toward the end of the hall, on the left. 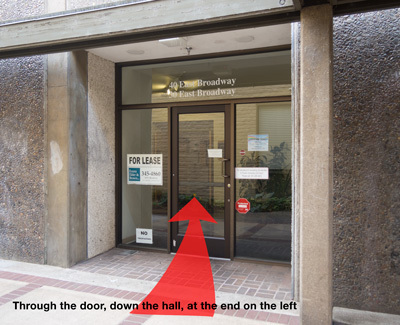 The office is toward the END of the hallway on the left.